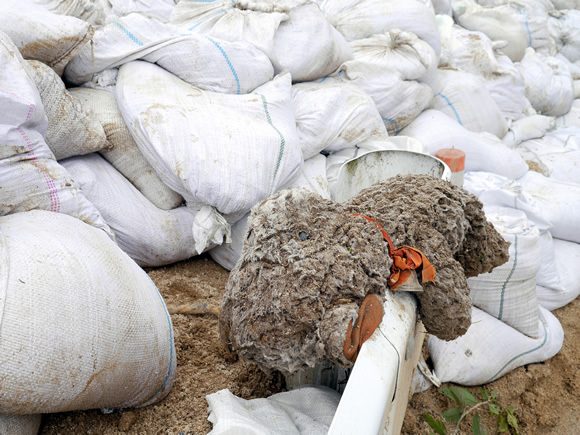 I came across this teddy bear in the middle of the disaster zone. 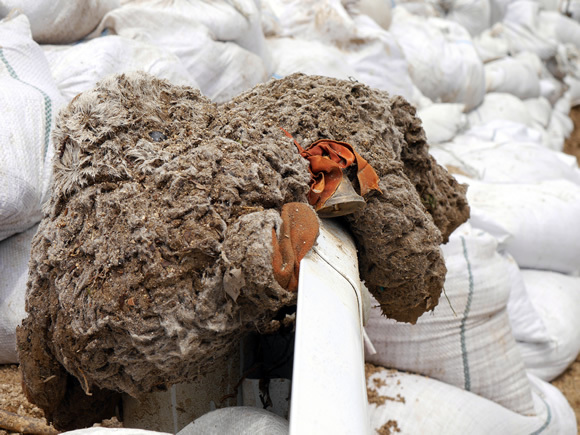 It lay on top of a guardrail, surrounded by mounds of white bags filled with mud. A lost teddy bear, eyes staring at the sky. A wet ribbon around its neck. A silent bell. What happened to the child who once loved it? Last week Hiroshima suffered a terrible disaster. 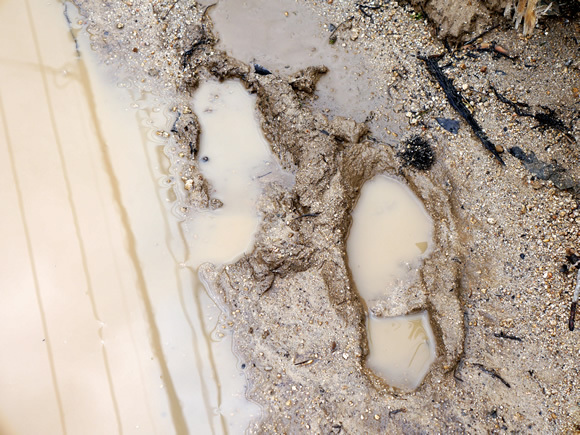 Rain hammered the city and triggered massive landslides in the dead of night. 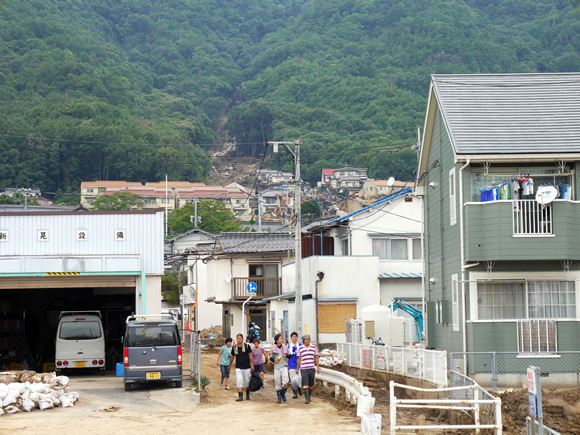 Houses that sat on the mountainside were bulldozed by boulders and mud. About 80 people—children among them—abruptly perished. Hundreds more are now homeless, in temporary shelters, their belongings buried. 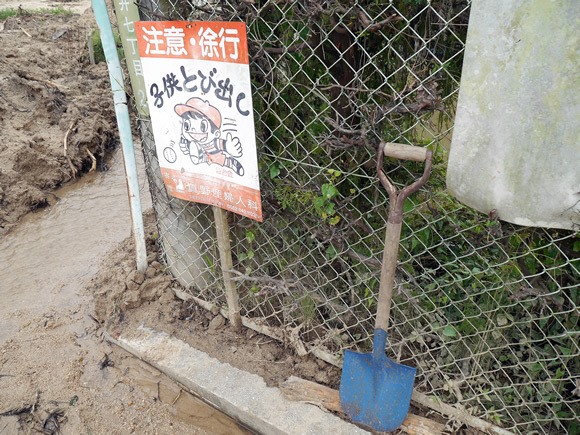 It’s a world of mud and shovels and loss. Keep the survivors in our thoughts, the victims in our prayers—to promote the spirit of compassion. Live this day, and every day, as fully as we’re able—to make the most of our journey, for ourselves and for others. And let us hope, for this tragedy in Hiroshima, that the child who lost this teddy bear can hug it again soon, very soon, and go on to live a long, full life.